Shop Hacker allows any AbanteCart merchant to add 1000s of elearning products to their store instantly. Looking for innovative products to sell online? Use the FREE Shop Hacker AbanteCart app. Shop Hacker allows you to effortlessly add hundreds of elearning courses to your AbanteCart store. Don’t worry about long ship times, low-quality products, or dealing with logistics. Shop Hacker delivers the elearning products directly to your customers instantly and electronically. 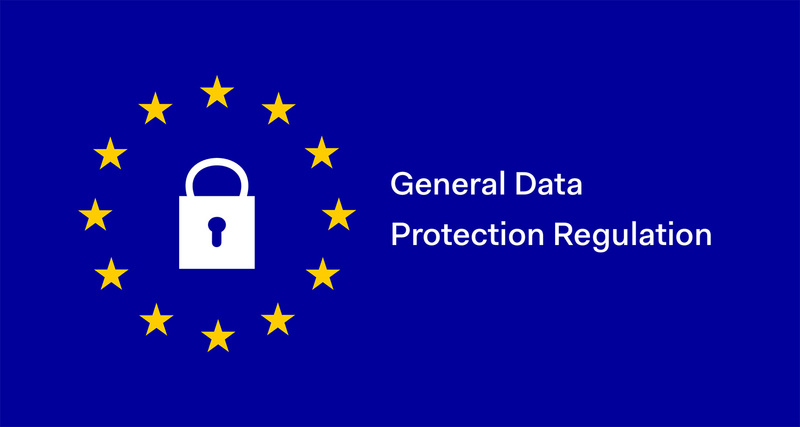 Why should I use Shop Hacker? From coding elearning training bundles to excel training courses, you will be able to quickly add best selling courses to your AbanteCart store. 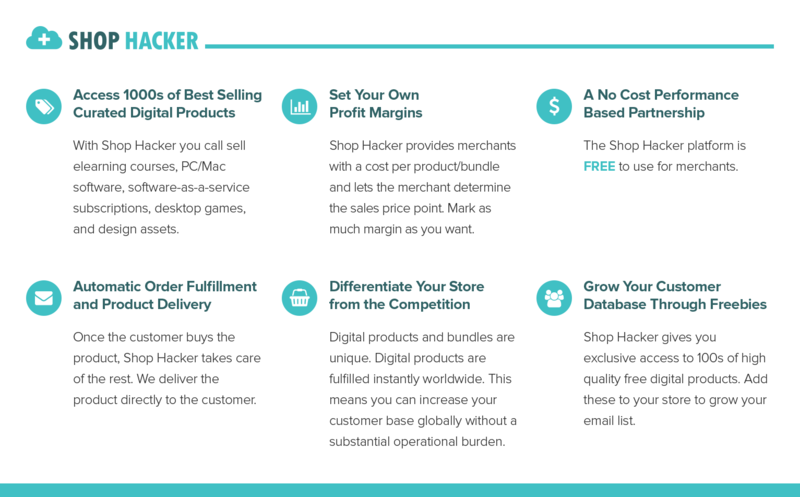 Once the customer buys the product, Shop Hacker takes care of the rest. We deliver the product directly to the customer. 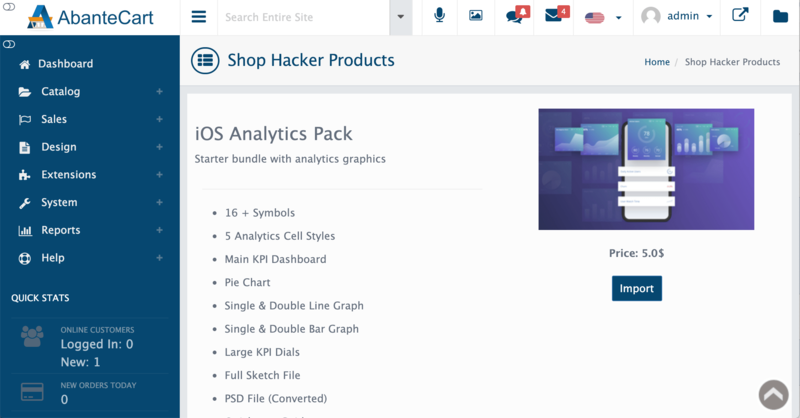 Edit your Shop Hacker products as you like. Feel free to update titles, descriptions, images etc. eLearning courses and bundle simply have less price competition. Less price comparison shopping by your customers means more sales for you. eLearning courses and bundles are unique. Having differentiated products on your store gives customers a reason to keep coming back. Digital products are fulfilled instantly worldwide. This means you can increase your customer base globally without a substantial operational burden. 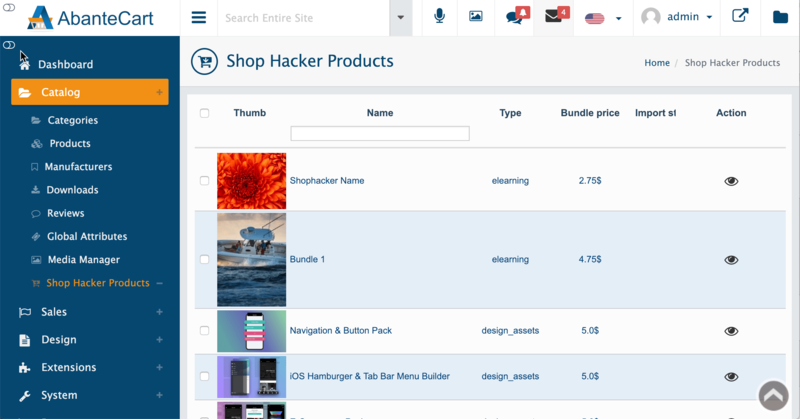 The Shop Hacker platform is free to use for merchants and vendors. Shop Hacker only generates a commission when a sale occurs. You focus on marketing and selling then let us take care of the rest as your partner.